Chic marled jersey and a trendy mini-print. 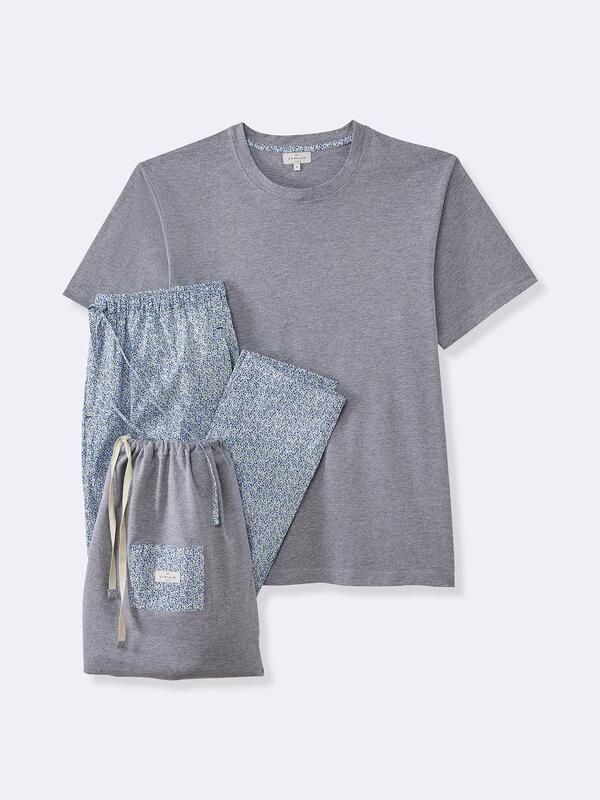 Here's a pair of pyjamas that feel good! And the little extra: it comes in a matching pouch. A beautiful gift idea and practical for travelling. Discover the matching print boxers. Solid-colour T-shirt with short sleeves: round neckline, print inside neckband in the same fabric as the trousers. Floral print bottoms: elastic waistband with drawstring tie. Marled jersey T-shirt, 85% cotton, 15% viscose. The Cyrillus man plays it casual yet elegant in all circumstances: discover the men's fashion collections and put together your looks for all the occasions life offers.